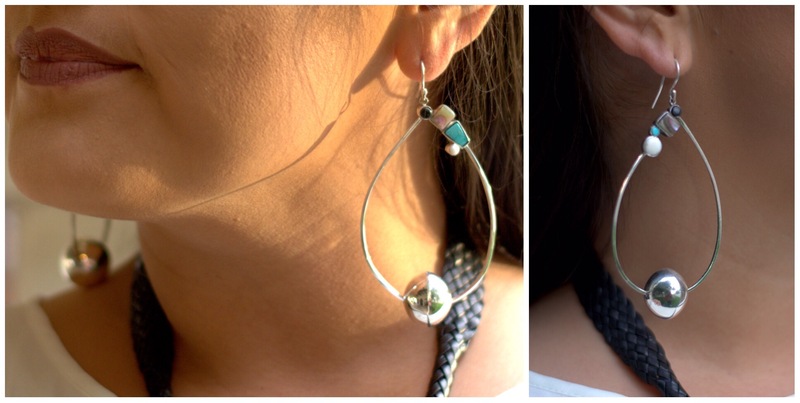 However, minus the bolo tie (borrowed from my husband), I cannot take credit for Nanibaa’s lustworthy jewelry game. And there is good reason for this, as anyone familiar with Nanibaa probably knows, she herself is a talented silversmith. 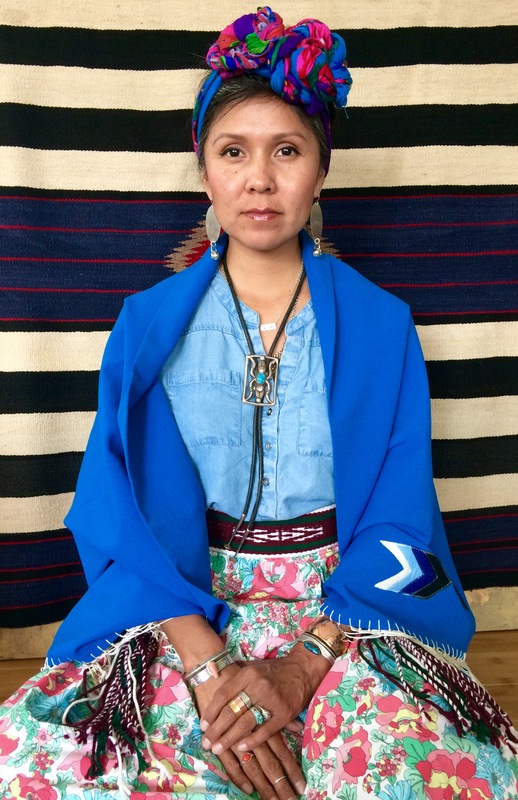 Nanibaa Beck (Ta’neeszahnii/Tłízí Łání/Tsé Deeshgizhnii/’Áshįįhí) grew up in Arizona, calling both Pinon and Phoenix home, or as she says “Pinon is my hooghan and Phoenix is my hometown”. 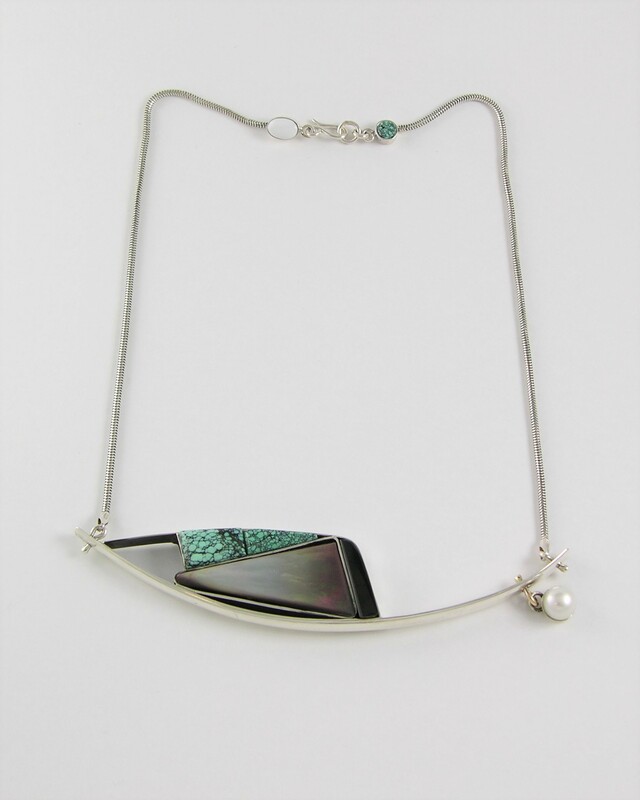 Growing up around artists, specifically her dad who is also a silversmith, it seemed almost inevitable that Nanibaa would become an artist as well, but she did not always see it this way. 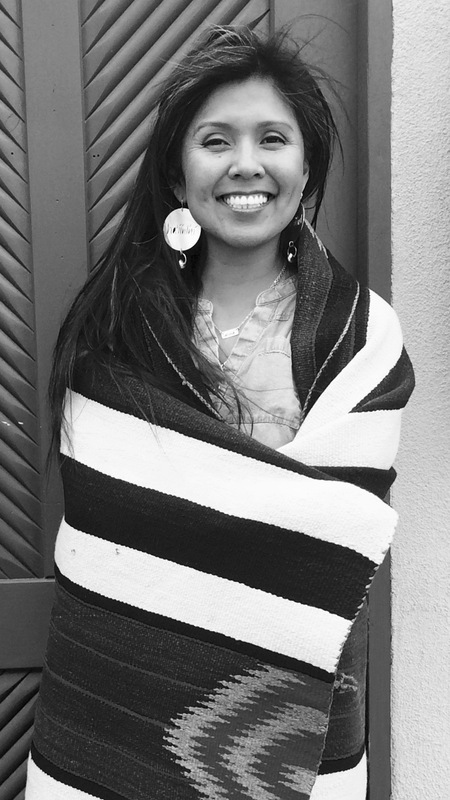 After graduating from college, Nanibaa worked at the Arizona Humanities Council for a few years but wanted to get back into academia so she enrolled as a graduate student at New Mexico Highlands University, studying anthropology. 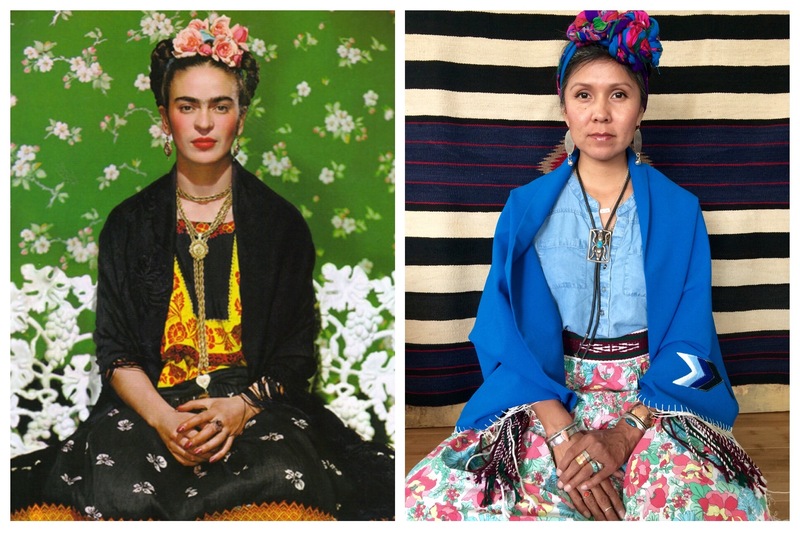 But soon she found herself involved in Native art markets, galleries, and museums which eventually lead her to launching her own jewelry label, Notabove, in late 2013. 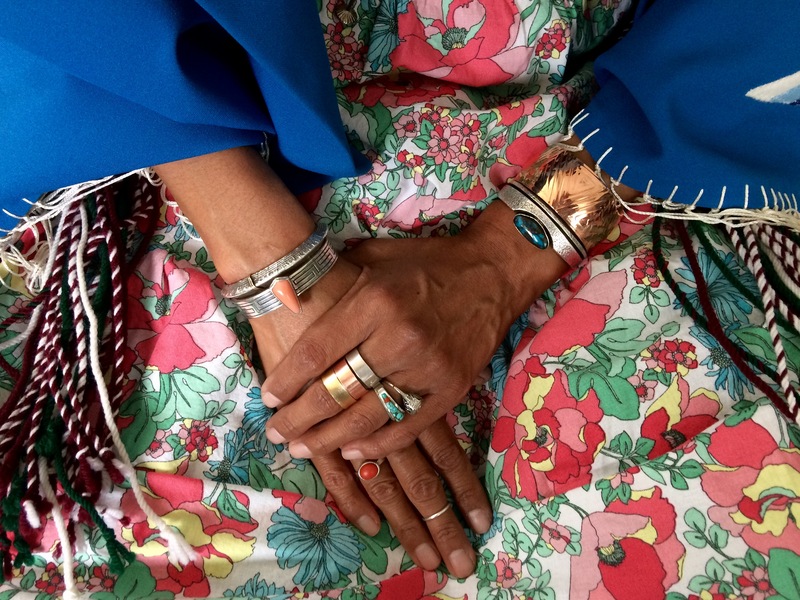 Nanibaa says the inspiration for her jewelry is a combination of many influences, from her family (weavers, silversmiths, and painters), to her background in anthropology and art, to her conversations with and observations of Natives peoples around her. Her work is the thoughtful embodiment of what she sees happening around her as well as the teaching she has grown up with. For the latest on Notabove, follow her on Instagram. Check out her website Notabove.com for jewelry, blog posts, as well as upcoming events and contact info. 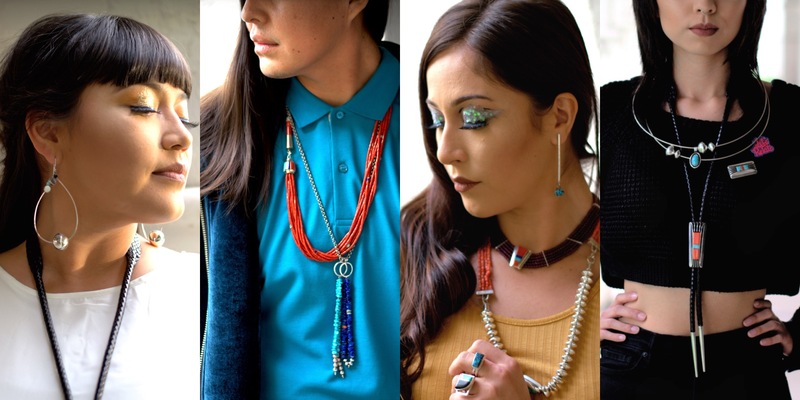 Notabove jewelry is also available at Beyond Buckskin.